I recently acquired some of John Ghegan's telegraph memorabilia from a descendent of the Ghegan family. John Ghegan was a telegrapher and an inventor, but was most noted as the president of J.H. Bunnell & Co. 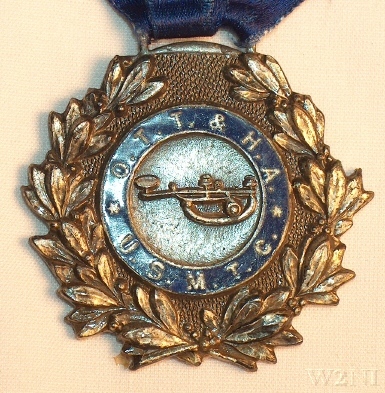 Included in the memorabilia were a few convention ribbons that he wore when he attended the Old Time Telegraphers' Association reunions. 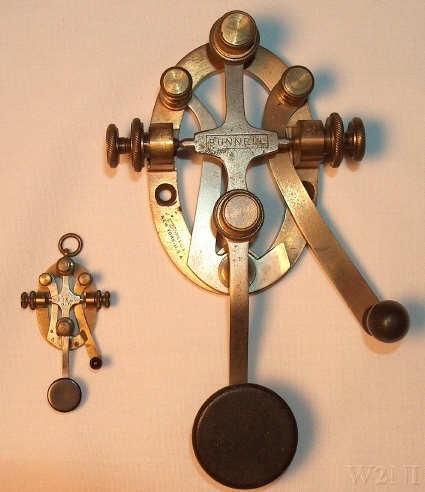 I also received a miniature telegraph key he owned that was made by J.H. Bunnell & Co. This key was specially designed by Ghegan as a souvenir for the Association's 25th anniversary reunion held in New York City in 1905. I thought it would be interesting to look at the history of the Old Time Telegraphers' Association, with a focus on their 1905 reunion and that highly collectable miniature key. The following year, there was no reunion due to the assassination of President Garfield. 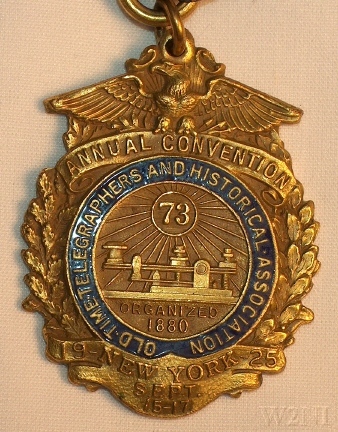 At the 1882 reunion held in Niagara Falls, a group of former Civil War telegraphers from the U.S. Military Telegraph Corps decided to form a separate organization. The Corps had been officially dismissed from service at the end of the Civil War. They organized the Society of the United States Military Telegraph Corps and elected former Civil War telegrapher, William R. Plum of Chicago as their first president. Membership was open to any former member of the Corps and to their male descendants. It was suggested that due to the fact so many telegraphers were eligible for membership in both the Society and the Old Time Telegraphers' Association that they should hold joint reunions. Subsequent reunions from 1882 on were combined, with each organization presenting their own reports at the combined formal meetings. At the 1890 reunion held in Kansas City, Mo., it was announced that all the early records and collections of the Old Time Telegraphers' Association for the first ten years were lost in a fire at Western Union in New York. At their next reunion held in Washington, D.C., being ever conscious of their historical responsibilities, an urgent appeal was made by the Association's president George C. Maynard. He asked members: "to collect everything that would perpetuate the history of telegraphy. If the Old Time Telegraphers' failed to do this, much of the early history of telegraphy would be lost." With this renewed focus of preserving their history, the Association modified their name to be called the, Old Time Telegraphers' and Historical Association. An interesting side note is that Maynard, a former Civil War telegrapher, later became a curator at the National Museum in Washington, D.C.
the banquet at Waldorf-Astoria Hotel during the 1905 convention. It is shown here next to a full size version. The most attended reunion and the one that received the most press was the 25th annual reunion held at the Waldorf-Astoria Hotel in New York City, August 29 through September 1, 1905. Over a thousand people in addition to the regular guests filled the hotel to capacity. Telegraphers arriving from all over the U.S. and Canada were greeted by high ranking officials from both Western Union and Postal Telegraph companies. They offered guests complimentary telegram service and the American District Telegraph and Postal District Telegraph companies each provided six of their best messenger boys to respond to the call of the delegates. The only business meeting was chaired by the associations' president that year, John C. Barclay, the chief engineer for Western Union. He was presented with a medallion of Samuel Morse, a tradition started by James D. Reid of handing the medallion to the sitting president of the Association during his term. A business meeting of the Society of the United States Military Telegraph Corps followed. At all the reunions it was typical after the adjournment of the daily meetings to take part in site seeing activities around the hosting city. For the New York reunion, numerous site seeing activities were arranged for telegraphers and their families. It was reported that telegraphers wearing their convention ribbons were spotted throughout the city. The main offices of Western Union and Postal Telegraph were visited, as well as the theater attractions on Broadway and an inspection of the New York subway system. On Wednesday, a sightseeing cruise was arranged on the steamer, Cygnus. The trip went up the Hudson river to Grant's tomb then turned South around the southern end of the city then up the East River to Hell Gate. The City of New York decorated both the Brooklyn and the Williamsburg bridges with the American flag to honor the telegraphers. Vessels passing the Cygnus, recognizing the Association's flag, saluted with their whistles and a New York fire boat demonstrated its water throwing abilities. The Cygnus then passed the Navy Yard and headed for Coney Island for the remainder of the day returning to New York at 10pm. The crowning event of the reunion was the banquet on Thursday at 6:30pm. There was great demand for tickets - over 700 people were seated at 88 tables and an additional two hundred people looked down and watched from the gallery. A large number of dignitaries and telegraph company officials attended the banquet including most of the railroad telegraph superintendents. Behind the speaker's table was an illuminated symbol of "73" described as being, "in electricity." (73 in Morse Code meant "Regards" or "Best Regards.") As all the guests were going to the seats, a male quartette sang, "America." This banquet had highly patriotic overtones. Melville E. Stone, the general manager of the Associated Press, brought the audience to its feet with loud cheers when he toasted President Theodore Roosevelt for his efforts to mediate a peace agreement at Portsmouth, New Hampshire to end the Russo-Japanese War. His toast was followed with "The Star-Spangled Banner." Stone then introduced Colonel Robert C. Clowry as the main speaker. Clowry was the president of Western Union and a former officer in the U.S. Military Telegraph Corps. Probably the most recognizable member who attended the banquet was Thomas A. Edison. He was sitting next to Postal Telegraph Company president, Clarence H. Mackay. Autograph seekers scrambled to get their programs signed by the inventor. Mackay lent Edison his fountain pen and Edison patiently signed several programs mainly from all the women who approached him. He stayed until 2:00am and was introduced to almost every guest at the banquet. Many were some of his old associates whom he had not seen in almost thirty years. A tiny souvenir telegraph key contained in a cardboard box was handed to each of the guests on the banquet floor. The New York Times reported, "It was the smallest telegraph instrument ever manufactured, a perfect reproduction, in miniature of the regular instrument used in all offices." The key has a nickel-plated lever and the body is finished in French lacquer. It was stated that about 800 keys were handed out that evening. In the days following the banquet at least two telegraphers actually used the key in service to prove that it was indeed a working miniature. One was Fred Catlin of Western Union, a winner of various telegraph tournaments. Catlin is best remembered today for developing the "Catlin grip," the preferred method of sending with a straight key. He sent a message via San Francisco as follows: "This message of greeting and congratulation on the success of the grandest of the Old Timers' reunions is sent direct across the continent with one of the beautiful souvenir keys which were presented to our members at the Waldorf banquet. None disputes its beauty and none shall doubt its utility." Although in another message he sent "...it is a perfect working key, though a trifle small for tournament work." 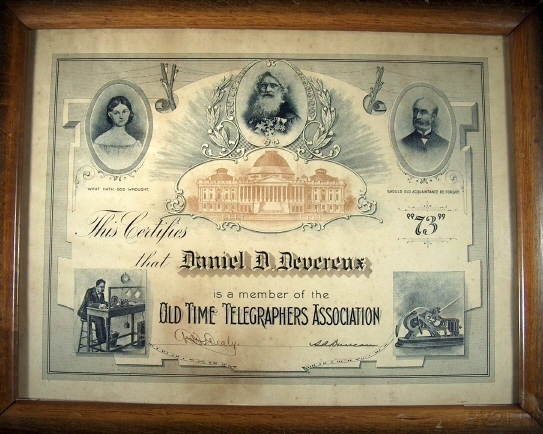 This membership certificate belonged to Daniel D. Devereux. of the Western Union office in Duxbury, Mass. Across the top left to right are photos of Annie Ellsworth, Samuel F.B. Morse and James D. Reid. for his first telegraph message sent from Washington, D.C. to Baltimore in 1844. Some remaining "souvenir keys" were advertised for sale in the magazine, Telegraph Age for several months after the reunion for $2.50. 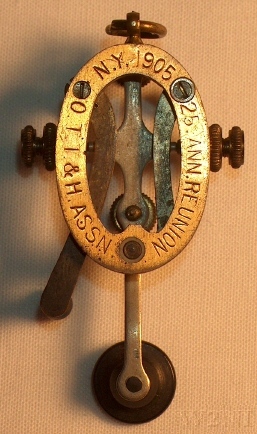 A miniature key was popular enough that it was offered by J.H. Bunnell & Co. in their catalogs for many years. At the 38th reunion held in Chicago in 1921, David Homer Bates, the secretary of the Society of the United States Military Telegraph Corps, reported that there were only 101 members of the Corps still alive. With the average age being at eighty, he felt it was impossible to muster more than a few members to attend future reunions. By 1927, Bates, a former telegrapher for President Lincoln, had passed away leaving only 17 Civil War telegraphers. It was generally felt by members of the U.S. Military Telegraph Corps that their service was "unhonored and unthanked" by the government. The Society left a legacy of being instrumental in lobbying congress for their formal recognition. They helped acquire official certificates of Honorable Service from the War Department for all the original members of the Corps. They also mailed reports and information to veterans of the Corps regardless if they were a member of the Society. Later they helped with the coordination of the Carnegie Pensions - a $12.00 monthly pension arranged by former telegrapher, Andrew Carnegie for Civil War telegraphers and their widows. 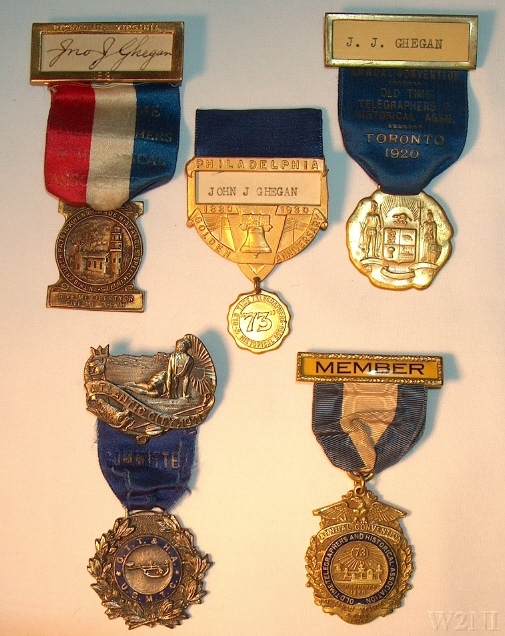 Over the years the Old Time Telegraphers' and Historical Association collected important historical material in addition to promoting fraternal fellowship among its membership. They were also responsible for the erection of monuments related to historical events in telegraphic history. In the late 1920s, the telegraph instruments and historical material that was gathered by successive historians of the Association was kept in the publisher's storage room of the Telegraph and Telephone Age in New York. It was later moved to J.H. Bunnell & Company's New York offices and showroom at 32 Park Place. In 1930, the Association's membership was still at 2300 members but in 1934 the organization was discontinued. Their priceless telegraph collection of over 54 years was given to the Edison Institute Museum in Dearborn, Michigan. The Military Telegraph During The Civil War In The United States, William R. Plum, 1882. Telegraphers of Today, John B. Taltavall, 1893. Proceedings of the Old Time Telegrapher' Association, 1896. The New York Times, September 1, 1905. Lincoln In The Telegraph Office, David Homer Bates, 1907. Proceedings of the Old Time Telegrapher' & Historical Association, 1910. J.H. Bunnell & Co. Catalogs, No.26, 27, 28, 29, 30. Telegraph and Telephone Age, 1911, 1921, 1927, 1929, 1930, 1936.